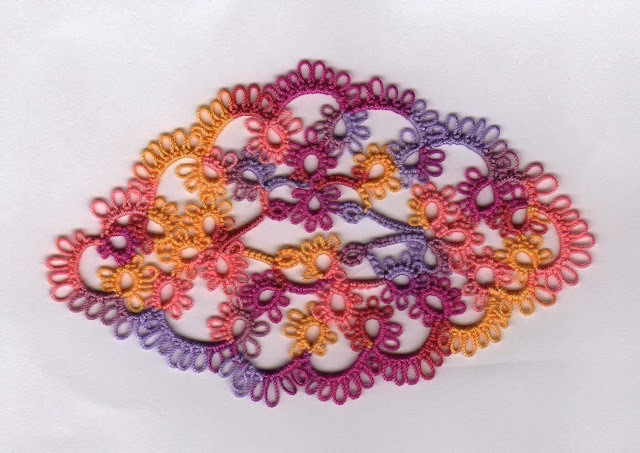 Part two of Nancy Tracy's Tatted Doily. Pattern can be found at www.be-stitched.com. The side ends are a little tricky. One must look at the diagram and read, reread the pattern. Love the challenge and the oblong instead of the traditional circle. Pretty! It does look like a tat that needs attention. Very pretty! I really like your color choice! Thank you ladies for your nice comments. Looking forward to part 3!! I don't seem to be able to find the pattern for either part 1 or 2 on Nancy's site. Is it only in the newsletter? It's looking very nice so far! Kathy it is in the newsletter but if you google Nancy Tracy July Tatted Doily it should come up. By the end of the year it should be up on her site. Thanks so much! I now have the two parts! It is so generous of her to share so many wonderful patterns! I've always wanted to do her classic Christmas tree! 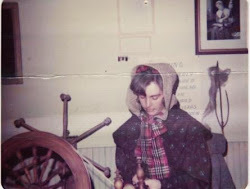 I love all types of Victorian Needle work, Weaving, Spinning, Gardening, my Dogs and a Red Hatter with a Hattitude!